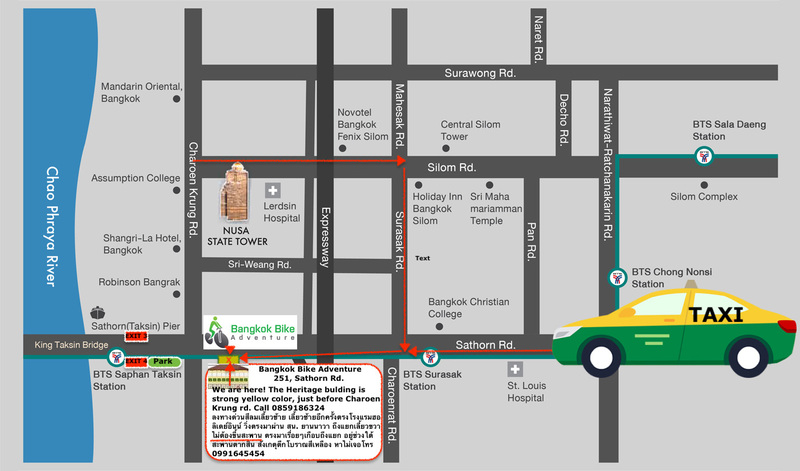 All our bike tours start from one of our 2 Bangkok Bike Tour Offices / Meeting Points - Both our offices is very closely located to BTS Sky train Stations. You can reach each office by Sky train or taxi. Depending on which tour you have booked, you need to go to the office where your tour will start. 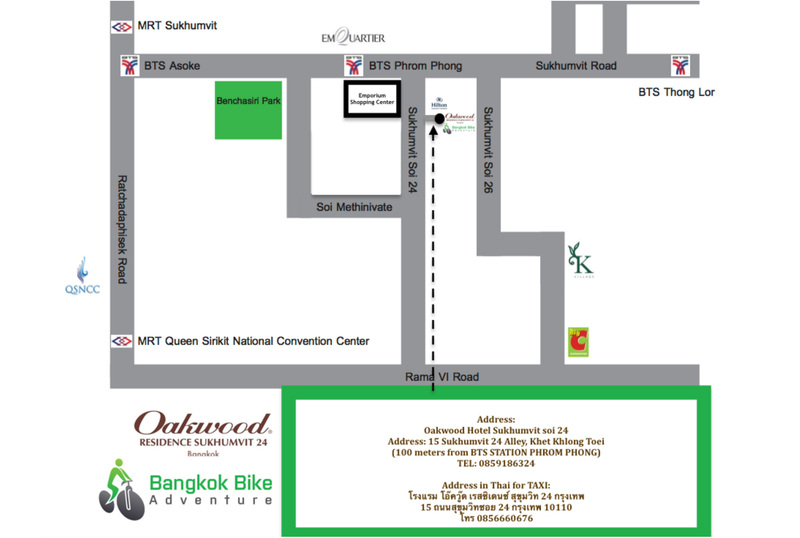 Our Main Bike Tour office in Bangkok is only 2 min. 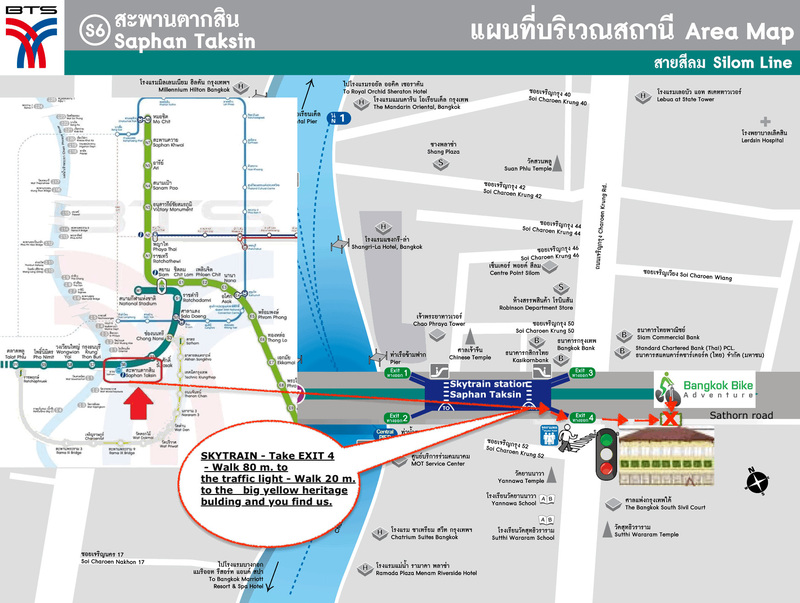 walk from Skytrain Station Saphan Taksin – Skytrain is the ideal way for you to get fast and easy to our office. From Saphan Taksin Station take EXIT 4 and walk 25 meters to the Charoen Krung road where you pass the crosswalk - Look straight for the big yellow heritage building where our office is located. Please show your taxi driver our address in thai language in text below. Please take taxi in good time during rush hours.